This article first appeared in Enterprise, The Edge Malaysia Weekly, on June 12, 2017 - June 18, 2017. 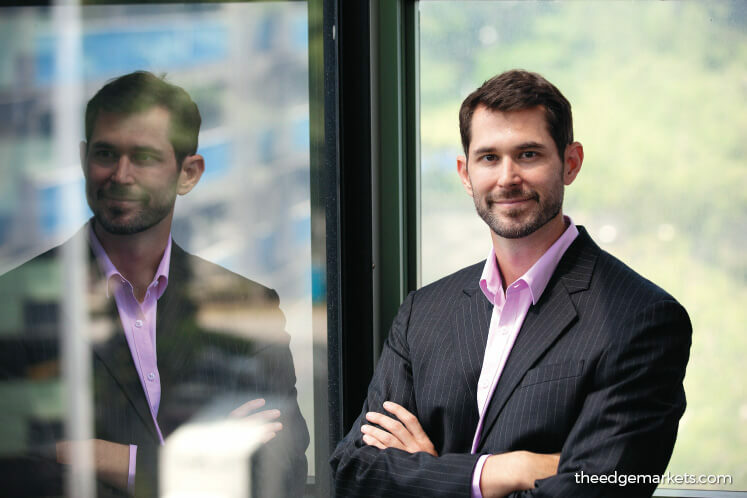 Josh Ziegler, co-founder and CEO of Zumata Technologies Pte Ltd, started out with a big problem: travel. First, location — travel (technically) could cover the entire world. Then there were the places or hotels to stay in each of those locations. Add that to the more than 2,000 amenities at each hotel and places of interest in each city and you end up with ridiculously large amounts of information to process. The question it was asked was: what is the perfect hotel for an individual? “We use IBM Watson’s cognitive computing to allow customers to drill down much more quickly to what they actually want explained,” says Ziegler. Value for money is a more nebulous concept, so it will move from structured to unstructured data such as reviews, blogs and news articles, “… really combing through the information to pull out those concepts and matching them to what you need”, says Ziegler. If you go to any travel site and type “Paris” and select a certain time frame, you may get a list of 1,500 possible hotels, he says. “With us, you still have your list of 1,500 hotels. But at the top of the list will be three hotels that match your specific criteria. Zumata is a business-to-business company, so travellers cannot access this information directly from the company. Instead, they need to visit one of its partner websites to access this functionality. The company was launched in 2010 as a travel technology business that consolidated the services of dozens of hotel suppliers and delivered hotel pricing as well as available and static content to online travel agencies. In the seven years since, it has accumulated a huge amount of data. Zumata started to apply artificial intelligence to all this information so that it could provide the most relevant search results, which would allow its partners to deliver customer service. It has partnered companies such as travel fare aggregator Agoda, hospitality distribution system DHISCO and US travel company Expedia, which owns several meta-search travel engines. “Hotels work like anything else. You have a manufacturer (in our case, it is a hotel), you have a retailer (such as Agoda and Expedia) and you have middlemen — all the wholesalers and distributors — like any other product,” says Ziegler. “So, when a retailer is trying to sell hotel inventory, it needs to access this middleman market. Doing so is very difficult because there is no standardisation, poor data quality and legacy technology. Tackling such a large problem has allowed Zumata to drill deep into the ins and outs of successfully training a system to collate and sort through massive amounts of data. “What we are trying to handle in the travel space is what the perfect hotel is for the customer. What we realised was that you could actually tweak the question and make it the right product or service for that customer,” says Ziegler. Zumata was approached by companies in other industries with a similar problem but with much less complicated data. “We were approached by banks, insurers and consumer companies, saying, for instance, ‘We have 20 credit cards. How do we help customers identify the right one for them?’” says Ziegler. What Zumata realised was that it had to be a horizontal product that could be applied to any company — banks, insurers, shoe manufacturers, toothpaste companies — it did not really matter. The next question was customer service. “Between 50% and 80% of the calls we receive at our call centre are for repetitive tasks. For hotels, it is the check-in time or when the cancellation penalty starts … things like that,” says Ziegler. This is different from an interactive voice response (IVR) system, he hastens to add. “The IVR system, where it says push “1” for checking and “2” for savings or whatever, is generally trying to filter you down to the appropriate agent. But by the time it is six to seven levels deep, it is just a waste of time. Zumata is rapidly expanding into other areas. “We already have insurance clients, for example, and we have been approached by a lot of other types of companies as well. These are kind of the universal questions around finding the right product or service and alleviating customer service pain points for both the customer and operator,” says Ziegler. He talks a little about his partnership with IBM. “We started this artificial intelligence journey with IBM because it had a contest to come up with the best use of a particular API (application programme interface, or sets of requirements that govern how one application can talk to another) that it was using. “At the time, we were trying to understand our content. We had 300 million images that were not tagged, so we did not know if it was a bathroom or a beach. We were trying to identify how to present the right imagery to consumers. It was a very simple concept, but we won the contest and it opened our eyes to some of the other offerings IBM had. “One of the key reasons we are continuing with IBM is the breadth of inventory in its API catalogue. It is like things we are using, for example, image recognition. We have another that helps us understand natural language. Also, one that helps us understand tone. So, if a customer is getting frustrated on the phone, it will help us recognise that and escalate the call to a live agent right away. Zumata has put its API on Bluemix, which is like IBM’s own iTunes store, “so other companies can leverage our natural language understanding for travel. It gives us another distribution network for our products,” says Ziegler.